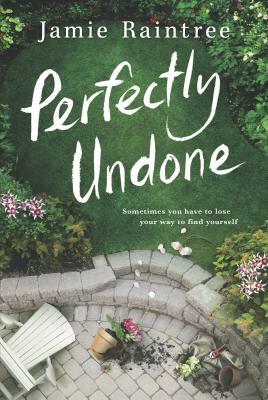 A stirring debut rife with intoxicating family secrets and dazzling insights into ourmost basic desires, Perfectly Undone offers an intimate, uncensored exploration offorgiveness and fidelity, in all its forms, as a young doctor struggles with her sister'sdeath--and the role she played in it--while her own picture-perfect relationship andpromising career unravel around her. Yes is such a little word... Dr. Dylan Michels has worked hard for a perfect life, so when her longtime boyfriend, Cooper, gets down on oneknee, it should be the most perfect moment of all. Then why does she say no? For too manyyears, Dylan's been living for her sister, who never got the chance to grow up. But herattempt to be the perfect daughter, perfect partner and perfect doctor hasn't been enoughto silence the haunting guilt Dylan feels over her sister's death--and the role no oneknows she played in it. Now Dylan must face her past if she and Cooper stand a chance at athe courage to define her own happiness before her life becomes perfectly undone? Setamong the breezy days of a sultry Portland summer, Perfectly Undone is a deeply movingnovel of family secrets, forgiveness and finding yourself in the most surprising ofplaces. Sometimes you have to lose your way to find yourself "Many women have walked theline between career and love, family and self. Raintree handles the balance with grace andwisdom. Her writing is clear and crisp, the emotion raw and without melodrama. From familysecrets to heartbreaking lost love, the characters felt like old friends by the end.Highly recommended." --New York Times bestselling author Kate Moretti.